Stylish and energy efficient. 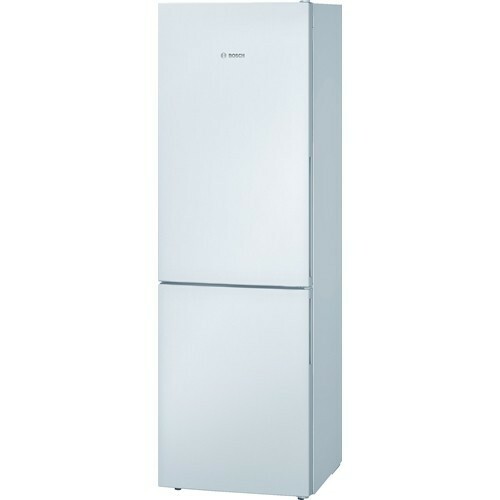 The Bosch KGV36VW32G Fridge Freezer gives you a 60/40 fridge and freezer split. There’s 215 litres of space in the fridge compartment split over four shelves, two of which are adjustable, a CrisperBox salad crisper makes it easy to keep fruit and vegetables crisp and fresh, a wine rack and an egg rack. 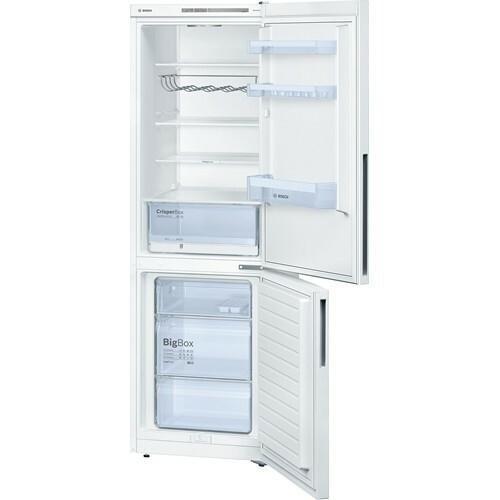 The 94-litre freezer compartment has three compartments to let you freeze your food, whilst the clear drawer fronts make it easy to find the items you're looking for. The middle freezer drawer is a BigBox drawer that offers large storage space so you can freeze larger items, such as larger boxes or large joints of meat. The KGV36VW32G cuts down on half the ice build up, which means half the work taking care of your fridge freezer. The LowFrost technology cuts down ice build up, which helps to keep energy efficiency high and maintenance low, so you can save time and energy when you need to defrost your freezer. The LED lights provide bright light that makes it easy to see your items inside the fridge. This makes it easy to find what you're looking for quickly and easily. They are also more energy efficient and last longer, which means you won't need to worry about the energy bills.